Carie Staerker and I had the pleasure of having Jim Ellis of Herdsmen Puppets in studio yesterday. Jim even taught us how to make balloon dogs! 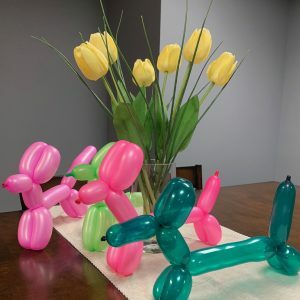 You can see Jim for yourself, and have a balloon creation made tomorrow at our Family Fun Night and Open House from 5-9pm. For more information on Herdsmen Puppets and how you can book them for your party, church service, or event, click here. Check out the interview below, and I look forward to seeing YOU tomorrow night!